9:55 a.m. - HARVEY RD - Fire Call - Assist citizens with control of utilities. 1:26 p.m. - WHITEHAVEN RD - Fire Call - Low hanging wires referred to National Grid. 4:08 p.m. - BASELINE RD - Service Call - Assist with traffic control at property damage accident. 5:18 p.m. - WEST RIVER RD - Officers' Call - Patrol requested evaluation of open burning. 6:22 p.m. - WALLACE DR - Fire Call - Meat on the stove. 9:58 a.m. - STONY POINT RD - Fire Call - Accidental medical alarm. Avoidable. 5:39 p.m. - MARJORIE DR - Fire Call - Arcing wires. Referred to National Grid. 8:07 p.m. - SANDY BEACH RD - Fire Call - Fumes in residence traced to faulty dryer vent. 6:20 p.m. - LOVE RD - Fire Call - Assist citizens with control of utilities. 6:43 p.m. - STONY POINT RD - First Aid - Police emergency stand-by. 7:02 p.m. - STONY POINT RD - First Aid - Police emergency stand-by. 7:08 p.m. - GRAND ISLAND BLVD - First Aid - Five patients treated and one patient transported from scene of a 3-car motor vehicle accident. 5:45 p.m. - WHITEHAVEN RD - Fire Call - Meat on the stove. 7:52 a.m. - FAIRVIEW CT - First Aid - Reported man slumped. Was sleeping. 5:21 EAST RIVER RD - Fire Call - Assist citizens with control of utilities. 11:34 BASELINE RD - First Aid - Assist only. 12:48 p.m. - BEDELL RD - First Aid - Assist only. 2:40 p.m. - BASELINE RD - Fire Call - Reported person slumped over the wheel. Nothing found. 8:31 p.m. - EAST RIVER RD - Fire Call - Smell of smoke trace to plant operations. 8:39 p.m. - GARDEN PKWY - Fire Call - Meat on the stove. 5:08 p.m. - BASELINE RD - First Aid - Assist only. 4:28 p.m. - BEDELL RD - Fire Call - Meat on the stove. 5:59 p.m. - EDGEWATER RD - Fire Call - Assist citizens with control of utilities. 2:33 a.m. - BASELINE RD - First Aid - Police emergency stand-by. 19:15 p.m. - BEDELL RD - First Aid - Medical call. 10:13 a.m. - STURBRIDGE LN - Officer Call - Investigate wire down. Referred to Verizon. 2:03 a.m. - GRAND ISLAND BLVD - Fire Call - Extinguished political signs which were set afire. 3:34 a.m. - GRAND ISLAND BLVD - Fire Call - Investigate odor of smoke. Nothing found. 9:08 a.m. - HEATHER LN - First Aid - Assistance only. 4:49 p.m. - STONY POINT RD - Fire Call - Meat on the stove. 12:19 p.m. - WHITEHAVEN RD - First Aid - Assist only. 5:30 p.m. - GRAND ISLAND BLV - Fire Call - Heavy smoke found to be form normally operating construction equipment. 8:11 a.m. - THRUWAY NORTH - First Aid - 8 patients evaluated from 6 separate accidents. 1 Patient transported to hospital by ambulance. 7:47 a.m. - HUTH RD - Officer Call - Fire prevention detail. 3:07 p.m. - STONY POINT RD - Fire Call - Investigated and advised citizens regarding nuisance burning. 7:09 p.m. - GRAND ISLAND BLVD - First Aid - Police matter. No services rendered. 8:17 a.m. - BASELINE RD - Officer Call - Fire prevention detail. 6:07 p.m. - ALVIN RD - Fire Call - BBQ grill on fire in a pick-up truck bed extinguished. 2:35 p.m. - WHITEHAVEN RD - Officer Call - Knox Box service. 10:21 a.m. - BASELINE RD - First Aid - Police emergency stand-by. 9:22 a.m. - HUTH RD - Officer Call - Fire Prevention Week program. 1:44 p.m. - BEDELL RD - Officer Call - Fire Prevention Week program. 9:23 a.m. - GRAND ISLAND BLVD - Officer Call - Fire Prevention Week program. 10:32 a.m. - BASELINE RD - Officer Call - Fire Prevention Week program. 12:56 p.m. - BASELINE RD - Officer Call - Fire Prevention Week program. 9:06 a.m. - LOVE RD - Officer Call - Fire Prevention Week program. 11:23 a.m. - STALEY RD - Officer Call - Fire Prevention Week program. 12:29 p.m. - BASELINE RD - Fire Call - Wires down. 1:20 p.m. - RANSOM RD - Stand By - Vikings Football. 1:29 - BEDELL RD - Fire Call - Meat on the stove. Avoidable. The calls listed above include 8 Fire Prevention details with local schools & pre-schools. 4:22 a.m. - BASELINE RD - First Aid - Police emergency stand-by. 7:36 a.m. - FERNWOOD LN - First Aid - Trauma call. 6:01 p.m. - HUTH RD - Fire Call - Meat on the stove. Avoidable. 9 p.m. - WARNER DR - Fire Call - Faulty sump pump. 2:46 a.m. - GRAND ISLAND BLVD - Fire Call - Reported gas leak. No hazard found. 5:22 p.m. - SHERIDAN DR - Stand by - Fire standby for Sheridan Park Fire Company fire prevention. 8:03 p.m. - THRUWAY SOUTH - First Aid - Trauma call. 3 Patients treated and 2 transported after extrication from vehicle accident. 6:46 p.m. - WOODSTOCK RD - Fire Call - Meat on the stove. Avoidable. 5:23 p.m. - TOWN HALL TERR - First Aid - Car struck building. No injuries. Referred to Building Inspector. 12:30 p.m. - SETTLERS ROW - Fire Call - Accidental fire alarm - avoidable. 9:30 a.m. - RANSOM RD - Stand by - Vikings football! 10:23 a.m. - GRAND ISLAND BLVD - First Aid - Medical call. Remember: Plan ahead for October 14th, 2011 and attend our annual fire prevention open house from 5:00pm - 8:0pm. You can meet Sparky & Pluggie and you might even win a ride on a fire truck! 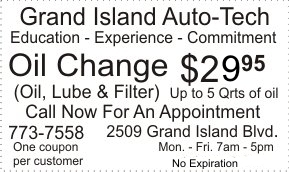 6:13 a.m. - GRAND ISLAND BLVD - First Aid - Cancelled by patrol. 5:07 p.m. - BASELINE RD - First Aid - Police emergency stand-by. Don't forget to visit our website at WWW.GrandIslandFire. 3:03 p.m. - COUNTRYSIDE LN - First Aid - Trauma call. 9:53 a.m. - QUEENS DR - First Aid - Police emergency stand-by. No services rendered. 7:44 a.m. - WEST RIVER RD - Fire Call - Medical alarm malfunction. 8:27 p.m. - FOREST CREEK CT - Fire Call - Assist citizens with control of utilities. 91:46 a.m. - BASELINE RD - First Aid - Police emergency stand-by. 910:55 a.m. - EAST RIVER RD - Fire Call - Residential structure fire with exposure damage to home next door. 1:00 p.m. - BEDELL RD - Stand by - 9-1-1 Memorial and Miracle league events. 10:15 a.m. - GRAND ISLAND BLVD - Fire Call - Meat on the stove. 1:50 a.m. - BASELINE RD - First Aid - Police emergency stand-by. 1:55 p.m. - EAST PARK RD - Fire Call - Assist citizens with control of utilities. 5:37 a.m. - EAST RIVER RD - Fire Call - Wires down. 10:07 p.m. - WHITEHAVEN RD - Fire Call - Assist citizens with control of utilities. 1:56 p.m. - LOVE RD - Fire Aid - Motor vehicle accident. No injuries. 10:40 p.m. - ADEL LN - Fire Call - Electrical problem. 11:21 a.m. - p.m. - BASELINE RD - First Aid - Auto accident. No injuries. 4:42 a.m. - LOVE RD - Fire Call - Alarm malfunction. 10:23 BASELINE RD - Fire Call - Mutual aid to Tropical Storm Irene effected areas. 12:26 a.m. - BASELINE RD - Fire Call - Alarm malfunction. 8:29 p.m. - BASELINE RD - Fire Call - Malicious false alarm. Avoidable. 4:29 p.m. - BASELINE RD - Fire Call - Alarm malfunction. Avoidable. 8:59 a.m. - EAST RIVER RD - Fire Call - Assist citizens with control of utilities. 2:55 a.m. - HAZELWOOD LN - First Aid - Police emergency stand-by. No services rendered. 10:12 a.m. - BASELINE RD - Stand by - Ride for Roswell. 10:00 a.m. - WINKLER DR - Fire Call - Alarm activation due to faulty detector. 12:16 a.m. - SHERIDAN DR - Fire Call - Mutual aid to the Town of Tonawanda. 9:19 a.m. - EAST RIVER RD - Fire Call - Accidental medical alarm. Avoidable. 6:07 a.m. - BEAVER ISLAND - Stand By - Triathlon event. Calls for the week included 18 visits by the Senior Assistance team and are not listed above. 5:52 p.m. - BASELINE RD - Fire Call - Meat on the stove. 11:54 a.m. - STONY POINT RD - Fire Call - Ruptured gas main. 1:20 p.m. - GRAND ISLAND BLVD - Fire Call - Accidental alarm. Avoidable. 3:31 p.m. - EAST RIVER RD - Special Operations - Water rescue call. Services not needed. 3:04 p.m. - BASELINE RD - First Aid - 3 patients treated for injuries from auto accident and 2 transported to hospital by ambulance. 7:18 a.m. - LOVE RD - Fire Call - Good Intent. Referred to patrol. 1:13 p.m. - WILLIAMS ST - Fire Call - Mutual aid to the Tonawanda Fire Department. 1:31 p.m. - MILL ST - Fire Call - Respond for City of Tonawanda to wires down. 10:16 p.m. - STALEY RD - Fire Call - Unable to locate open burning complaint. Referred to patrol. 4:01 p.m. - NIAGARA RIVER - Fire Call - Boat fire. Out on arrival. 8:45 p.m. - WINKLER DR - Fire Call - Grass fire. 9:18 p.m. - LANG BLVD - Fire Call - Alarm malfunction. 2:03 p.m. - LOVE RD - Officer Call - Assist school personnel with lock box facilities. 1:16 p.m. - STONY POINT RD - First Aid - No incident found. Good Intent. For the 24 hour period ending at 4:00pm on July 22 there were 12 Fire Company responses. 4:05 p.m. - BEAVER LN - Fire Call - Assist citizens with control of utilites. 10:51 p.m. - RIVERDALE DR - Fire Call - Transformer fire. 7/12/2011 12:07 p.m. - GRAND ISLAND BLVD - Fire Call - Meat on the stove. 5:24 p.m. - ALT BLVD - Stand by - Air show stand by. 11:29 a.m. - INDUSTRIAL DR - Officer Call - Open burning. 8:07 a.m. - EAST RIVER RD - Fire Call - $53,000 damage from boathouse fire. 4:40 p.m. - THRUWAY NORTH - Fire Call - $2000 vehicle fire. Total loss. 9:24 p.m. - STALEY RD - Officer Call - Investigate open burning. 9:37 p.m. - EAST RIVER RD - Fire Call - Outside fire. 11:30 p.m. - TRACEY LN - First Aid - Assist only. 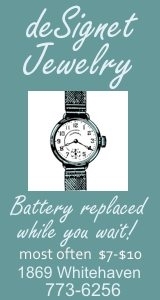 7:48 p.m. - BASELINE RD - First Aid - Accidental medical alarm. The total for the period also includes 5 visits by the Senior Assistance Team. 11:27 p.m. - WEST RIVER RD - Marine call - Marine unit response. Good intent. 12:41 p.m. - THRUWAY NORTH - First Sid - Trauma call. 4 PAtients treated and one transported from auto accident. 5:39 p.m. - BASELINE RD - First Aid - Assist only. 3:59 p.m. - CONTINENTAL LN - Fire Call - Accidental alarm. Avoidable. 12:04 p.m. - MEADOW LN - Fire Call - On-Star activation due to child playing. Avoidable. 12:35 p.m. - WEST RIVER RD - Stand By - Lawn Mower Race Stand by. 7:13 p.m. - WEST RIVER RD - Fire Call - Meat on the stove. Avoidable. 8:14 a.m. - LONG RD - Fire Call - Assist with traffic hazard caused by windstorm. 10:56 a.m. - BASELINE RD - Fire Call - Vehicle fire. Out on arrival. 8:51 a.m. - HEATHER LN - First Aid - Assist only. 12:02 p.m. - EAST RIVER RD - Fire Call - Assist citizens with control of utilities. 12:08 p.m. - STALEY RD - Fire Call - Meat on the stove. 6:54 p.m. - THRUWAY SOUTH - First Aid - Multiple casualty incident. 8 patients treated from motor vehicle accident. 10:03 a.m. - STONY POINT RD - First Aid - 2-car rollover accident with 7 patients treated and 6 patients transported to hospitals by ambulance. 9:07 p.m. - BASELINE RD - First Aid - Police emergency stand-by. 8:25 a.m. - GRAND ISLAND BLVD - Fire Call - Carbon Monoxide Investigation referred to National Fuel. 9:27 a.m. - GRAND ISLAND BLVD - First Aid - 5 Patients evaluated and 1 transported to hospital after a car struck a pole. 2:08 p.m. - MEADOW LN - Fire Call - Meat on the stove. In addition to the calls listed above, the Senior Assistance Team made 9 home visits. 11:19 p.m. - THRUWAY SOUTH - First Aid - Multiple car accident. 3 Patients treated will all refusing transport. 10:12 p.m. - GRAND ISLAND BLVD - First Aid - Assist only. 2:18 p.m. - WARNER DR - Fire Call - Accidental alarm. Avoidable. 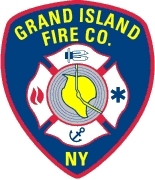 9:43 p.m. - GRAND ISLAND BLVD - First Aid - Assist only. 5:13 p.m. - BEAVER LN - Fire Call - Odor of natural gas traced to malfunctioning pilot light. 8:28 p.m. - BEAVER ISLAND - Fire Call - Accidental alarm. Avoidable. 3:12 p.m. - WEST RIVER RD - Fire Call - Accidental alarm. Avoidable. 11:15 a.m. - BASELINE RD - First Aid - Accidental alarm. Avoidable. 7:00 p.m. - SANDY BEACH RD - Fire Call - Accidental alarm. Avoidable. 11:55 p.m. - BASELINE RD - First Aid - Police emergency stand-by. 4:28 p.m. - EAST RIVER RD - Fire Call - Investigated and advised citizens regarding nuisance burning. 11:41 p.m. - EAST RIVER RD - Fire Call - Meat on the stove. 8:42 a.m. - BEDELL RD - Stand By - Opening day stand by. 6:53 p.m. - NIAGARA RIVER - Special Operations - Marine unit response. 2:59 p.m. - STONY POINT RD - Fire Call - $175,000 damage to 3 car garage. 10:21 p.m. - STONY POINT RD - Fire Call - Rekindle of garage fire. 6:50 p.m. - DEERWOOD LN - Fire Call - Meat on the stove. 11:57 p.m. - WEST OAKFIELD RD - Fire Call - $60,000 damage from residential structure fire. 10:00 p.m. - EAST RIVER RD - Fire Call - Meat on the stove. Avoidable alarm. 5:49 p.m. - PARK LN - Fire Call - Investigate natural gas leak. 8:04 p.m. - TRAILS END - Fire Calll - $2000 damage to contents and no damage to structure from dryer fire. 8:32 a.m. - RANSOM RD - Fire Call - Unable to locate arcing wires. 4:37 p.m. - CARTER DR - Fire Call - Assist citizen with control of utilities. 5:11 p.m. - EAST RIVER RD - Fire Call - Investigated and advised citizens regarding nuisance burning. 6:07 p.m. - LOVE RD - First Aid - Assist with law enforcement action. 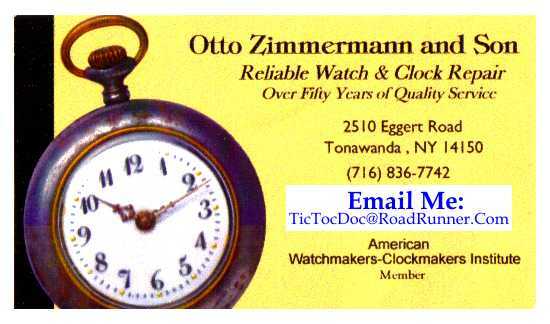 9:53 p.m. - THRUWAY SOUTH - First Aid - Auto accident found to be in Tonawanda. 3:18 p.m. - WEST RIVER RD - First Aid - Reported person slumped over the wheel found to be a disabled vehicle. 7:19 p.m. - EAST RIVER RD - Fire Call - Meat on the stove. 2:28 p.m. - GRAND ISLAND BLVD - Fire Call - Electrical problem with outage. 3:44 p.m. - WHITEHAVEN RD - Fire Call - Meat on the stove. Avoidable. 3:25 p.m. - WHITEHAVEN RD - Fire Call - Reported truck fire found to be disabled vehicle. 5:40 p.m. - STALEY RD - Fire Call - Accidental fire alarm. Avoidable alarm. 5:01 p.m. - LOVE RD - First Aid - Assist only. 10:14 p.m. - STONY POINT RD - Fire Call - Natural gas leak. In addition to the calls listed above, the Senior Assistance Team (SAT) made 9 visits. 12:36 p.m. - WARNER DR - First Aid - Accidental medical alarm. Avoidable. 2:49 p.m. - RANSOM RD - First Aid - Accidental medical alarm. Avoidable. 6:11 p.m. - STONY POINT RD - Fire Call - Meat on the stove. Avoidable. In addition to the calls above, the Senior Assistance Team (SAT) made 7 visits. 5:33 p.m. - BASELINE RD - First Aid - Assist ambulance crew. 2:38 p.m. - RANSOM RD - First Aid - Police emergency stand-by. 6:06 p.m. - LASALLE AV - Fire Call - Meat on the stove. Avoidable alarm. In addition to the calls listed above, the Senior Assistance Team (SAT) made 19 visits. 1:01 p.m. - RANSOM RD - First Aid - Malicious defibrillator alarm. 7:33 a.m. - RANSOM RD - First Aid - Medical call. 5:31 p.m. - HAZELWOOD LN - First Aid - Assist only. 6:42 p.m. - BASELINE RD - First Aid - Gone on arrival. 7:02 a.m. - CENTER TERR - First Aid - Assist only. 6:17 p.m. - WHITEHAVEN RD - Fire Call - Gas main leak. In addition to the calls listed above, the Senior Assistance Team made 22 visits. 3:06 p.m. - BASELINE RD - First Aid - 3 patients evaluated after motor vehicle accident. No transports. 8:26 p.m. - BEDELL RD - Fire Call - Outside fire. Referred to Erie County Sheriff's Department. In addition to the calls listed above , the Senior Assist Team (SAT) made 6 visitations. 10:14 a.m. - CONTINENTAL LN - Fire Call - Accidental fire alarm during system testing. Avoidable. 7:47 p.m. - HUTH RD - Fire Call - Malicious fire alarm. 12:11 p.m. - BLUEJAY LN - First Aid - Patient refused aid. In addition to the calls listed above, the Senior Assist Team (SAT) made 3 visits. 4:21 p.m. - WHITEHAVEN RD - Fire Call - Wires down. Referred to Verizon & Time-Warner. 3/1/2011 21:57 p.m. - ALVIN RD - First Aid - Trauma call. 1 Patient treated after rollover accident. 9:04 a.m. - STALEY RD - Fire Call - Meat on the stove. Avoidable. 11:03 a.m. - EAST RIVER RD - Fire Call - Wires down. Hazard removed and referred to Verizon. 7:56 p.m. - WHITEHAVEN RD - Fire Call - Fire alarm activation due to dishwasher contents. 2:27 a.m. - WHITE OAK TERR - Fire Call - Assist citizens with control of utilities. 8:12 a.m. - SPICER CREEK RUN First Aid - Accidental medical alarm. Avoidable. 12:59 p.m. - THRUWAY NORTH - First Aid - Five patients treated & transported from a min-van vs. garbage truck accident. 1:51 a.m. - CONTINENTAL LN - Fire Call - Meat on the stove. 2:11 p.m. - EAST RIVER RD - Fire Call - Wires down. In addition to the calls listed above, the Senior Assistance Team (SAT) made follow-up visits to 5 residences. 7:21 p.m. - HAVENWOOD LN - First Aid - Residential lock out. 10:08 p.m. - EAST RIVER RD - Fire Call - $80,000 damage from residential structure fire caused by careless use of candles. 11:51 a.m. - MONICA RD - First Aid - Accidental medical alarm. Avoidable. 5:46 p.m. - EAST RIVER RD - Fire Call - Meat on the stove. Avoidable. 4:10 p.m. - THRUWAY SOUTH - First Aid - Motor vehicle accident. 11:01 a.m. - RED JACKET RD - First Aid - Accidental medical alarm. Avoidable. 10:18 p.m. - RANSOM RD - First Aid - 8 patients treated for injuries from auto accident. Several transported to hospital via ambulance and private vehicle. 5:20 p.m. - WHITEHAVEN RD - Fire Call - Meat on the stove. Avoidable. 9:07 a.m. - THRUWAY SOUTH - First Aid - 4 patients treated & 2 patients transported to hospital after car acident on South Bridge. 12:00 p.m. - EAST RIVER RD - Fire Call - Meat on the stove. 3:11 p.m. - TRACEY LN - Fire Call - Meat on the stove. Are the two closest hydrants to your home & business clear for use, if needed? 6:12 p.m. - SHEREE DR - Fire Call - $180,000 damage from house fire caused by careless disposal of fireplace ashes. 7:21 a.m. - LASALLE AV - Fire Call - Isolated arcing electrical outlet. 3:16 p.m. - THRUWAY NORTH - First Aid - 7 patients form auto accident refused transport. 4:04 p.m. - THRUWAY NORTH - First Aid - Trauma call. Unable to locate. 6:50 p.m. - SCHWEGLER RD - Fire Call - $2500 damage from residential structure caused by unattended candles. Out on arrival. 2:44 p.m. - BASELINE RD - Fire Call - Car vs bus accident. No injuries. 8:42 p.m. - WHITEHAVEN RD - Fire Call - Reported fire alarm found to be a commodity alerting device. Avoidable. 2:52 p.m. - TOWN HALL TERR - First Aid - Car struck apartment building. No injuries. $2000 damage to the building. 3:53 p.m. - BASELINE RD - First Aid - 4 patients evaluated from 2 car accident. All patients refused transport. 2:57 a.m. - GRAND ISLAND BLVD - First Aid - Police emergency stand-by. 8:11 a.m. - EAST RIVER RD - Fire Call - Accidental alarm. Avoidable. 9:00 a.m. - BEAVER ISLAND - Trauma Call - 3 patinets treated after a van occupied a ditch. 11:46 p.m. - EAST PARK RD - Fire Call - Smoke in residence traced to plastic on dishwasher heating element. 7:25 a.m. - LOVE RD - Fire Call - Reported car fire found to be overheating only. 7:23 a.m. - THRUWAY SOUTH - First Aid - Two patients evaluated after a rollover accident. 7:41 a.m. - WHITEHAVEN RD - Fire Call - Reported natural gas leak referred to National Fuel for resolution. 11:21 p.m. - BEDELL RD - Fire Call - Carbon Monoxide Investigation revealed a faulty furnace. 8:22 a.m. - CENTER TERR - First Aid - Assist only. 6:23 a.m. - STONY POINT RD - Fire Call - Meat on the stove. 12:07 p.m. - THRUWAY SOUTH - Fire Call - Reported refuse truck on fire. Unable to locate. 11:22 p.m. - STONY POINT RD - Fire Call - Reported explosion. Unable to locate. 11:44 p.m. - RANSOM RD - Fire Call - Reported smoke in the area traced to normally operating steam vent. 7:36 a.m. - BASELINE RD - Fire Call - Meat on the stove. 1:28 p.m. - ENOLA RD - Fire Call - Meat on the stove.